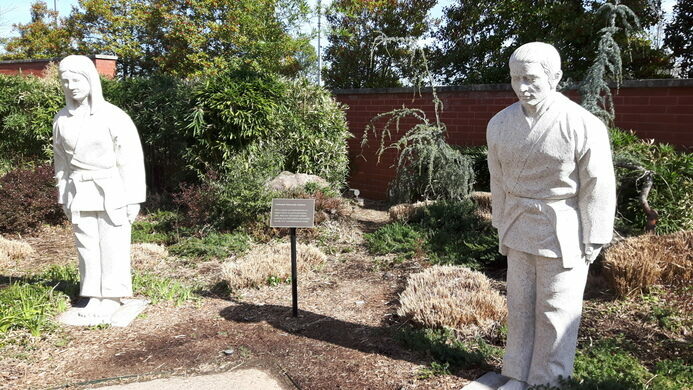 A beautiful South Korean gate and garden in Little Rock honors American Taekwondo. Just at the end of the Main Street Bridge in the center of Little Rock, Arkansas, this impressive and beautiful gate and garden stands as a symbol of friendship between South Korea and America, a gift of appreciation, and a salute to the martial arts. Where animatronic singing fish go to retire. This Little Rock legend has survived decades of rowdy crowds, three fires, and a zombie wedding. The H.U. 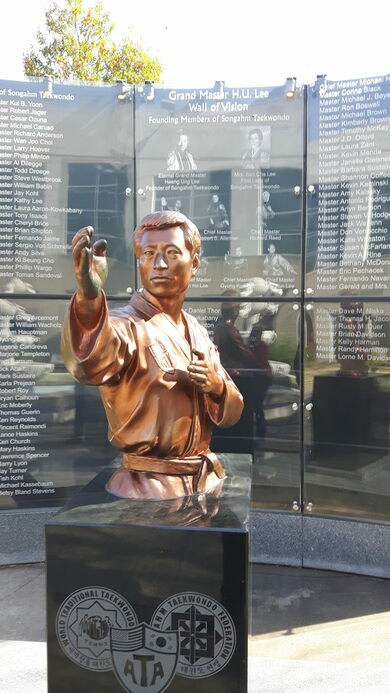 Lee International Gate and Garden is named for and honors the American Taekwondo Association Eternal Grand Master Haeng Ung Lee, who contributed more in his lifetime towards the advancement of martial arts throughout the world than any other in the modern era. He created a fellowship of martial arts that became the largest organization in the world, and everlasting legacy in the American Taekwondo Association (ATA), originated and headquartered in Little Rock since 1977. Common throughout Asia as a sign of welcome, this gate and garden is a mashup of Arkansas and South Korea. An amalgam of Arkansas River Rock and concrete make up the walls of the gate, and the clay tile of the roof is from South Korea. The gate is painted primarily with Korean colors related to the five cardinal elements of the Um-Yang: blue for wood, red for fire, yellow for earth, white for metal, and black for water. Two Korean Foo Dog statues stand protecting the gate and entrance to a quiet and contemplative garden that provides a quiet place away from the grind of the city streets. The garden contains more statues and structures symbolic to South Korea, the ATA, and the Um-Yang. You’ll find various plant life typical of gardens throughout East Asia, accented with native Arkansas boulders. In a greeting of respect, two full-size statues of male and female ATA students in uniform bow to one another. A reflective pool dominates the center of the garden, in the shape of the Songahm Star, providing seating around its entire perimeter. Representing the spreading of knowledge, a 3-meter-tall fountain displays three bowls: on the top, three dragon heads, in the middle, six dragon claws, and on the bottom nine Songahm stars. A bust of the Eternal Grand Master Lee appears in front of a wall of Chinese black granite containing the names of the ATA Masters. Immediately across from that stands the Bee Ryong Bong, or Staff of the Flying Dragon, which is the most valued artifact of Songham Taekowndo. Multiple Harubang statues stand around the garden made of basalt, and a gift from Cheju Island. One of the most significant statues in the garden is the polished granite Statue of Nine Turtles. It is an exact replica of a wooden carving at the office of the Eternal Grand Master, and it was one of his favorites, signifying longevity, strength of family and unity. The gate and garden are accessible 24/7/365 at the time of publishing, free to the public.